Checkers and Rally’s is taking on delivery in a big way, going all in with every provider it can get and maybe changing the delivery game along the way. 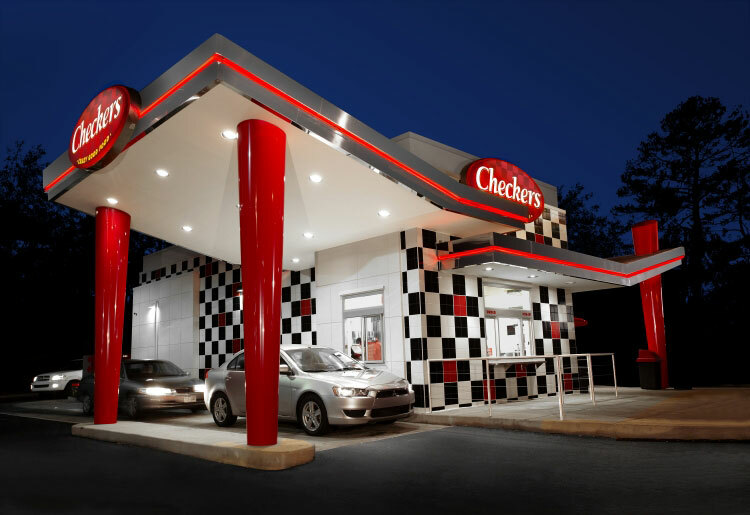 Checkers has around 900 locations, with about 300 of those corporate locations. So it’s not as large as the big QSR players, and it’s not small enough that it could just turn on delivery and hope it works. That in-between size may have helped the company avoid hazards at the bleeding edge of the third-party delivery industry. “We’re just trying to create a viable franchise delivery proposition, and when you start there, you maybe go a little slow but you get there in a way that really works,” said Terri Snyder, CMO and EVP of marketing at Checkers and Rally’s. Before jumping in, Snyder said the company was extremely careful to think everything through from operations to technology and the economics. The first decision was around the ubiquitous tablets. She said the company also decided to open up delivery to any company it could integrate. It signed up with Olo to help integrate orders into a new, system-wide POS. Currently, all corporate locations have been updated, along with about 25 percent of the franchised locations. As the rollout continued, Checkers partnered with DoorDash about a year ago, Postmates came online about six months ago and Grubhub comes next. The company also did a lot of work building relationships with the delivery players, importantly, a collegial partnership instead of the begrudging, 10-foot pole sort of relationship seen in some partnerships. That meant Checkers was the first QSR to partner with Amazon Restaurants. “We just developed a relationship. And we taught them a lot about the restaurant business, we spent time teaching them about our margins and how the restaurants work,” said Snyder, noting that the company just finished integrating Amazon. So why go so big, taking the time and effort to work with every provider? There were three goals at the store level: operational ease, financial viability and dedicated support at the corporate office. The company is testing drive-thru access for delivery drivers, something that nobody else in QSR is doing for some very confusing reason to keep things really simple for operators. Integrating into the POS and working with the delivery providers at the very top was key for operational ease and efficiency. In essence, an Amazon, DoorDash or Grubhub order is exactly the same as any other order for the operator. Financial viability, as any restaurant owner will tell you, was a little trickier. And finally, the company staffed up with thoughtful, experienced delivery leaders and support staff for both franchisees and delivery partners. As head of digital marketing Jason Carrigan was one of the leaders guiding the delivery project . He hired the tech team, trained the operations staff and set the strategy for how to go to market. His No. 1 goal was driving digital sales. He said demand has been strong across every demographic in the delivery radii. Some stores are reaching 15 to 20 percent delivery, which is higher than Chipotle’s overall digital orders. Carrigan said another reason to go with every delivery outlet is they each drive their own demand, adding up to a healthy order volume. “The ecosystem is pretty small right now overall. Especially for the folks that are driving big volume. So it’s not a matter of vetting them, we’re going to work with everyone who delivers volume of orders,” said Carrigan. He said getting everyone aligned was the chief task for Checkers, striving to be the best partners out there for third-party delivery firms. That meant a serious focus on execution and fast solutions to any errors. These systems are complex, and they go down from time to time. He said there are four people dedicated to supporting the delivery system: Three to field calls and offer guidance for store-level operators and one dedicated liaison with the delivery providers. When an issue pops up, that team can immediately check with the IT team, Olo, the delivery provider, or perhaps the firewall provider. An agile, dedicated team and those layers of technology and systems has Checkers at the top of not just QSR, but at the very top of operating metrics at Postmates and DoorDash. At the core, he said it’s all about the relationship. Keeping third-party delivery at a arms length just doesn’t work.